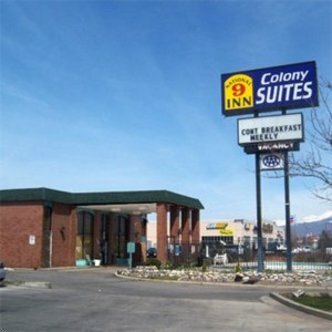 Welcome to the National 9 Colony Inn of Provo, a Magnuson Hotels affiliate, conveniently located off I-15 in Provo, UT. Our AAA approved 3 Diamond hotel offers comfortable spacious rooms at affordable prices. We are located minutes from Brigham Young University, Utah Valley Regional Medical Center, Dynix Corp, Union Pacific Corp and Provo College. Let the National 9 Colony Inn be your home base while you enjoy the many outdoor activities such as skiing, fishing, hiking, golf and tennis available in beautiful Provo.